European scented candles and bath luxuries. Indulge yourself. Inspired by the magical world of the tales of the Thousand and One Nights and their evocation of exoticism, fantasy and adventure. The candles in this collection delicately combine light and aroma to produce a dreamlike atmosphere. Contained in poetic containers made of translucent porcelain, the luminous effect they produce through the hand-engraved motifs on their surface transports us to a fairy-tale world Inspired by the magical world of the tales of the Thousand and One Nights and their evocation of exoticism, fantasy and adventure. 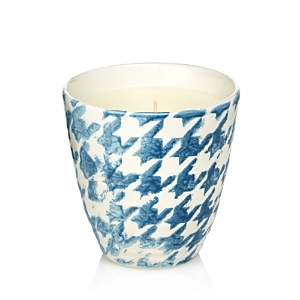 The candles in this collection delicately combine light and aroma to produce a dreamlike atmosphere. Contained in poetic containers made of translucent porcelain, the luminous effect they produce through the hand-engraved motifs on their surface transports us to a fairy-tale world. Wax candle in glass vessel. Lip balm scented. Wax candle in glass vessel. Coffee scented. Wax candle in glass vessel. Sun lotion scented. Wax candle in glass vessel. Washing powder scented. Hand-detailed porcelain vessel with pattern reminiscent of a maze. Floral fragrance. Italy Handcrafted diffusing sphere. Earthenware. Decorative lid with openings for diffusing reeds. Scent: top notes: thyme and lavender; middle notes: oris and cedarwood; base notes: tolu balsam, incense, birch/styrax, and lebdanum. Handcrafted candles sold individually. Ceramic container. Vegetable wax candle. Scent is a blend of Mediterranean herbs, wood tones, and incense. Burn time: approximately 60 hours. Stimulates the mood and reduce feeling of anxiety and fatigue while helping to improve concentration and enriching the air with purifying components. The savour of winning the challenge to create an impossible essence; hours spent to sense and trying to embody a fleeting scent such as the red grains of the pomegranate. Thinking and crushing them in my hands in order to capture in an instant the soul of this marvelous fruit. The Bellini, invented by Giuseppe Cipriani in one of the most famous and luxurious hotels in Venice, takes its inspiration from the warm pink colour used on the masterpieces of the great Venetian artist. Witnessing the grape's harvest is a unique experience; the air saturated with the odours of squeezed grapes and the must gathering the evolving form that portrays the wine that will form. The reminiscence that I wanted to enclose and intensify with this embracing fragrance is embedded in a fruity and sweet note able to impress our sense of smell with a unique emotion. Precious witness of the first, and most important, memory of the endless hours spent in my grandfather's studio testing and memorizing infinite unknown scents. To discover surrounded by a great number of scents, what would have been the evocative art of my olfactory memories. Evokes the olfactory memory of a soundless walk on the beach, during the first hours of the morning, when the world is still in the arms of Morpheus. In this loneliness, it is caught the sublime moment when the sea embraces its colours and its notes from the dark of the night. Clean and Fresh—An ozonic fragrance that captures the exhilarating scent of fresh sea air. Water Lily, sea jasmine, rose and cyclamen create the scent of fresh sea air. Bergamot and rhubarb add depth while vetiver, sandalwood and sea moss create a luminous finish. Breezy and Fresh—Top notes of lemon and coastal lily evolve into a translucent heart of watery blue lotus and sweet green beach grass notes. An amber-sand accord and effervescent ginger create a relaxing aura in the dry down. Enveloping Gourmand—A blend of black currant, orange, lemon zest, raspberry and clove bring a vibrant opening to the heart composed of jasmine and cassis. A foundation of honeyed vanilla, amber, jasmine and musk create a sweet woody background. Zesty grapefruit leads pineapple and orange peel, after which creamy gardenia, green fern and earthy apple wood provide a sophisticated foundation. 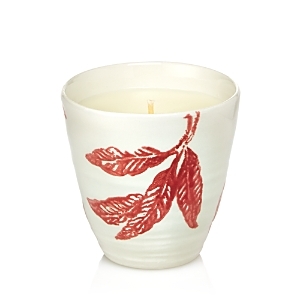 Magnolia, muguet, jasmine and green bamboo leaves drape over bamboo wood, bois de rose and orange flower. A burst of gardenia, orange blossom and ylang ylang, with subtle elements of pineapple, cedar and green notes. Sunday. A pause in the week. To relax in crisp, white sheets, airy with lavender. To unwind ... and go wherever the mood takes you. Out to the garden. Into the greenhouse, twisting tomatoes fresh from the vine. Earthy, leafy and full of sunshine. A hearty lunch. A breezy walk. Then paradise. A plate of sweet almond macaroons with a pot of steaming tea. Vanilla-soft and coconut rich. Sleepy by the fire. Smoky incense curling into the air. No need to think. Easy ... just like Sunday. The forest at dawn. The juicy bite of redcurrant. The zest of green mandarin. The freshness of rose softened with white musk. Enveloped in roasted oak. Bright. Embracing. Bewitching. 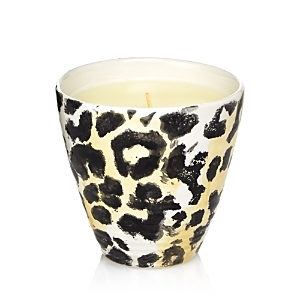 Jo Malone London Dark Amber & Ginger Lily Home Candle: To uplift, to wind down, or simply to add an air of luxury. Transform the atmosphere with the scent of amber and black orchid. Illuminated by the clean sensuality of black cardamom, ginger and water lily. Mists of honeyed, golden mimosa float above the spiciness of freshly crushed cardamom. Creamy tonka and smooth sandalwood woven under powdery heliotrope and Damask rose picked at dawn. Warm, ethereal, mesmerizing. To uplift, to wind down, or simply to add an air of luxury. Transform the atmosphere with luxury and opulence. To uplift, to wind down, or simply to add an air of luxury. Transform the atmosphere with the scent of darkest Damask rose. Escape the everyday along the windswept shore. Waves breaking white, the air fresh with sea salt and spray. Alive with the mineral scent of the rugged cliffs. Mingling with the woody earthiness of sage. Create the warmest of welcomes with the deluxe Jo Malone London candle. Its generous proportion brings a wonderful ambiance to any space, now in two iconic scents: the zesty signature, Lime Basil & Mandarin, and darkly seductive Pomegranate Noir. To uplift, to unwind ... or simply to add an air of sophistication. Peonies in voluptuous bloom, exquisitely fragile. Flirtatious with the juicy bite of red apple and the opulence of jasmine, rose and gily flower. Mingling with the sensuality of soft, blush suede. Luxurious and seductive. 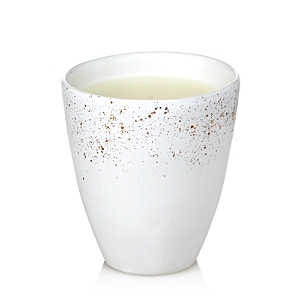 Jo Malone London Oud & Bergamot Home Candle: To uplift, to wind down, or simply to add an air of luxury. Transform the atmosphere with the scent of precious oud. The mysterious, smoky character of this revered wood, central to Middle Eastern fragrance traditions, radiates with the clarity of crisp bergamot and an orange granite accord. Fresh limes and zesty mandarins are undercut by peppery basil and aromatic white thyme in this alluring signature blend. Peonies in voluptuous bloom, exquisitely fragile. Flirtatious with the juicy bite of red apple and the opulence of jasmine, rose and gily flower. Mingling with the sensuality of soft, blush suede. Luxurious and seductive. English Pear & Freesia Home Candle envelops a room and lingers for hours to create an ambience that is fresh and unexpected.